It’s the concluding game of Kids Week. What will it bring? A more-balanced game than the rest of the week heading into Final: all three players are in contention, but Tyler has the upper hand. This one’s pretty straightforward, as Tyler holds a “crush” over his two opponents. 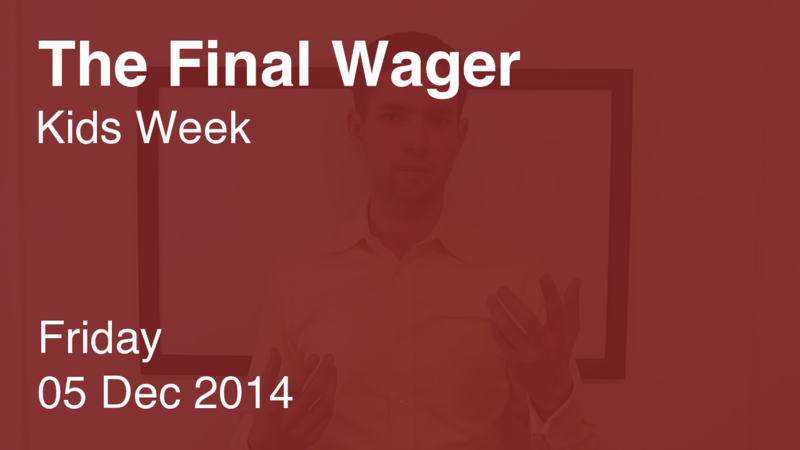 To cover an all-in wager by Emma, Tyler will need to wager 4,901. An incorrect response with that wager will leave Tyler with 12,599. Neither Emma nor Neha has that total, so both should go all in. Neha could have lucked out here. It looks like Tyler just took the difference between his score and Emma’s, and added a dollar; he would have fallen to 11,199 had he missed. 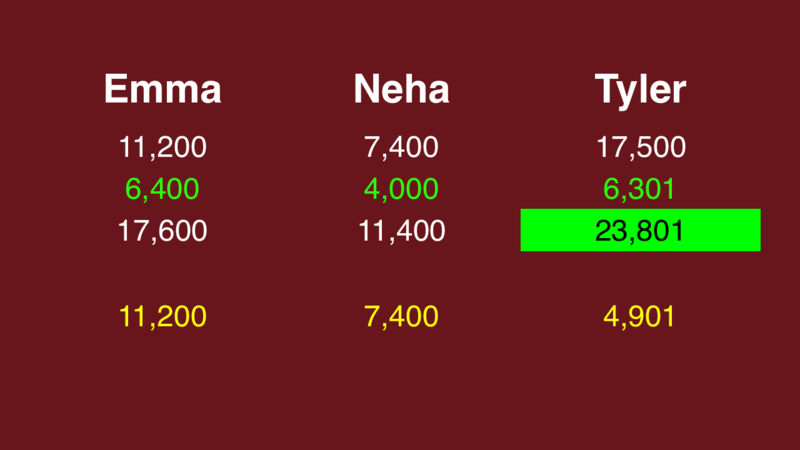 Neha’s total, as it stands, is not enough to catch Tyler if he wagers rationally. It’s a good thing Tyler (and Emma) rendered that point moot!